Foton Motor Company a Chinese automobile maker is establishing a truck assembling plant in Tanzania in order to extend its foray in the East African region.The firm’s strategy to set up the facility is in line with the country’s fifth phase of the governments target’s on industrialization. The President John Magufuli has pushed the dream in the country as he looks to make a significant impact before his time as a President comes to an end. Prioritizing the manufacturing sector has high potential to drive the country’s dream of becoming a middle-income economy by 2025. Many foreign investors seek business opportunities after giving a second thought to the country’s goal of 2025. To establish a conducive environment for foreign businesses and to support the local sector The State Head has worked immensely. To cater to the market demand in the country. Earlier this year Foton launched its assembling facility in Kenya, to facilitate trade. The company anticipates offering solutions in the transport sector. By creating job opportunities for the citizens. The firm plans to eradicate the prevalent challenge of unemployment.As compared to importing, the expansion plan will ensure car dealers acquire the trucks at an affordable price. Spare parts will also be well available at competitive prices. As they look to have a share of the same market the East Africa is continued to be ventured by Car automakers. 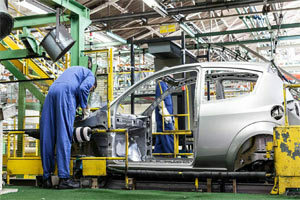 The only potential competitor and major investor in the manufacturing industry is Toyota .Extending its reach in Ethiopia after entering the Rwandan market is the German machine Volkswagen. To attract more investments in the automotive industry, last year Tanzania cut its taxes as a business incentive measure. A new- plant established for assembling motor vehicles or tractors will now receive a corporate tax rate of 10 percent” which is a 20 percent reduction of the 30 percent corporate tax rate this was stated in The Finance Bill of 2018. The government is adamant to produce brand new locally made vehicles as well as export to the neighboring countries. The Tanzania automobile market provides comprehensive analysis and forecasts of heavy commercial vehicles, light commercial vehicles and passenger cars. Business strategies of industry leaders, customer preferences, and Evolving market dynamics, are also included. An in-depth SWOT analysis of different vehicle market sub-types including motor cycles, vans, buses, heavy trucks LCVs and PCs research work and Historic data on the import and export trends by source/destination country are provided in the research work. The research work also provides market growth in two time series: forecast from 2018 to 2025 and historic from 2005 to 2017. The Impact of economic conditions and business on automotive industry are assessed. Further GDP, inflation trends through 2005 to 2025, household income are analyzed along with key demographic patterns during the period. For better understanding of the current status of the automobile industry in Tanzania is compared with its peer countries in the region. In this research publication Even, the Global and regional Trends in Automotive industry are also included. Identifying market structures and potential market players. Three leading Tanzanian automotive companies their SWOT profiles and Business profiles are included in this analysis. analysis on all major recent developments and their impact on the Tanzania automotive industry are analyzed.